Our guests love to sleep in the rooms offered by our hotel. For us, there is no greater satisfaction than receiving positive feedback from our guests, in terms of the right combination of space, comfort and cleanliness. We have created three types of rooms, designed to meet the diverse needs of our guests. 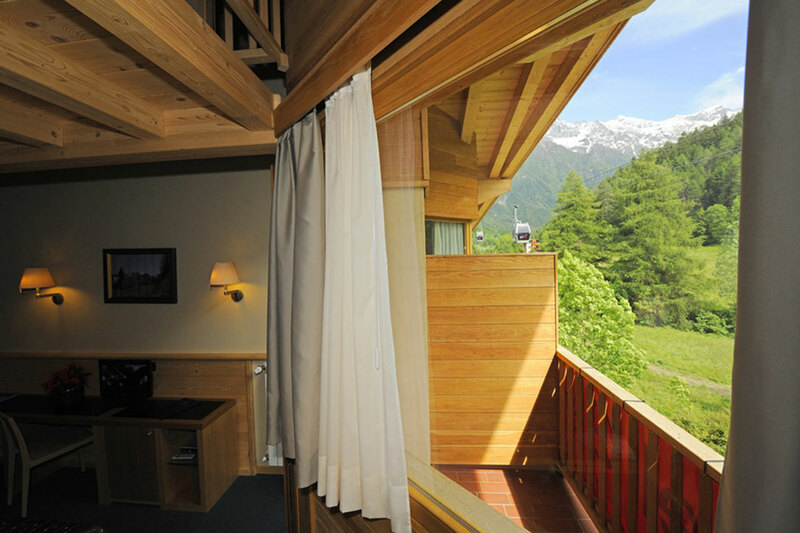 All are spacious and comfortable, warm and cosy and in perfect alpine style, with great views of the surrounding peaks and lush forests. On the first floor we offer double or twin rooms (room size approx. 28 square meters) with parquet floors and large terraces. 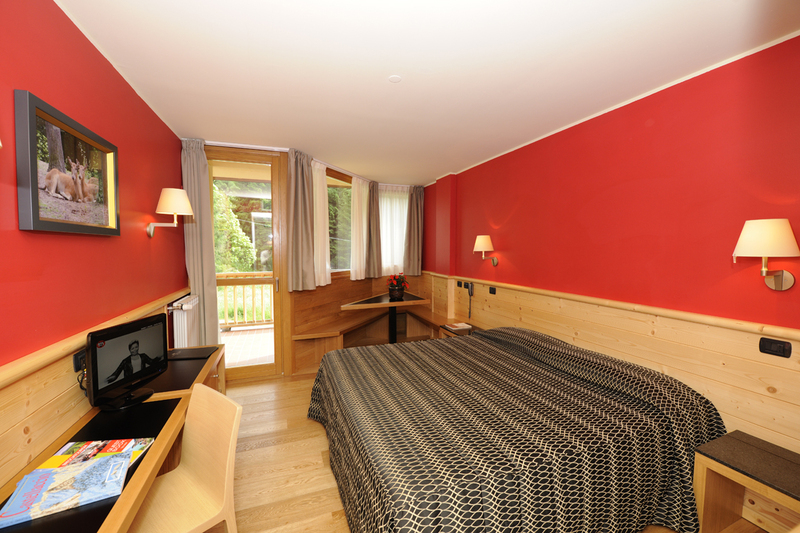 The rooms are wood-panelled and characterised by a bright red wall colour, to instil our guests with energy in view of a day dedicated to sports and outdoor activities. Or to share a romantic night with your partner. 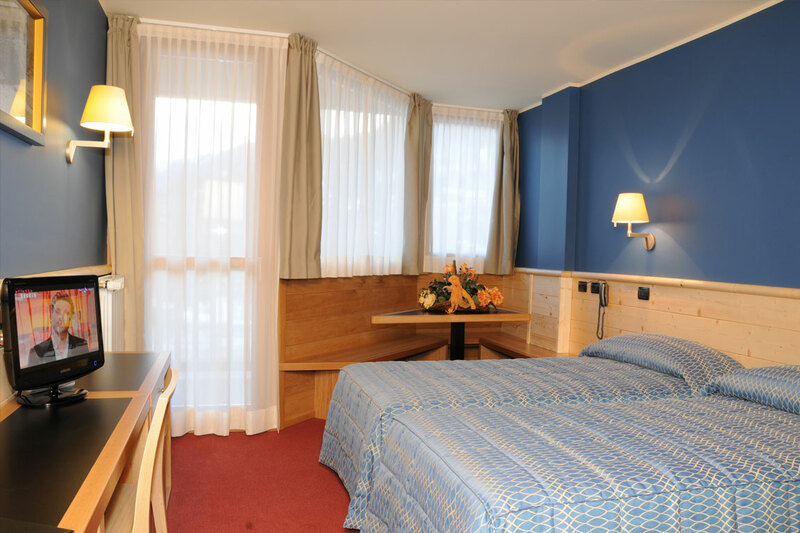 Discover the beauty of our rooms, your serenity between fantastic nature in one of the most beautiful places in Lombardy.